Biokat's Micro Fresh is an extra fine clumping cat litter with a light summery scent - giving cat owners everywhere a breath of fresh air! 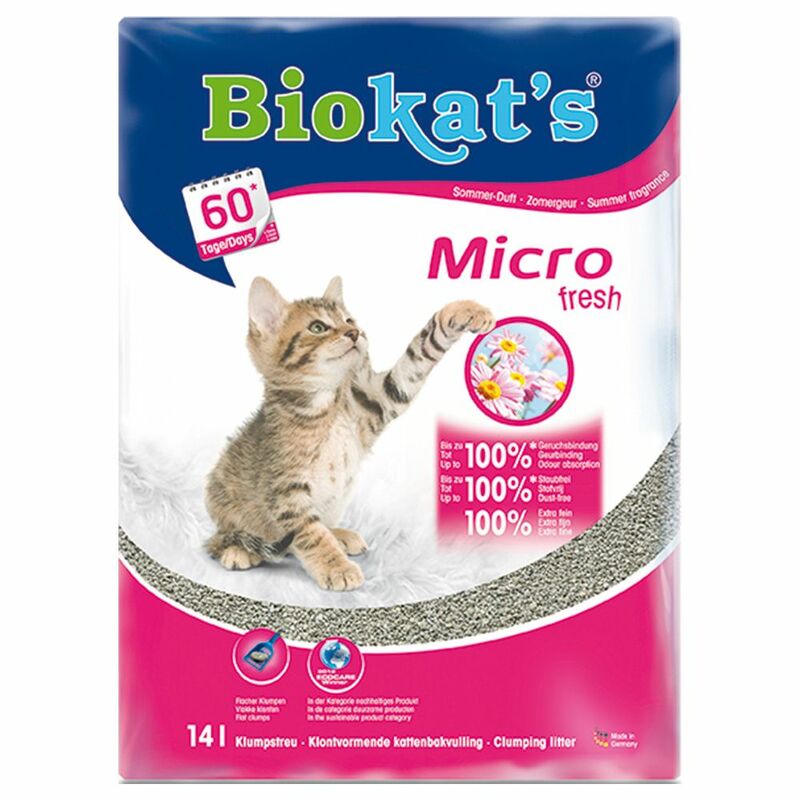 1 litre of Biokat's Micro Fresh binds at least 3 litres of liquid, making it an extremely efficient and economical litter. It's an absolute must for all those who value quality over quantity. Biokat's stands for great quality cat litter. Micro Fresh is made using only the very best German raw clay. Biokat's Micro Fresh Cat Litter at a glance: 1 litre Biokat's Micro Fresh binds at least 3 litres of liquid Extra fine granules Maximum odour-control Virtually dust-free (99.8%) With the summer fragrance of fresh flowers and citrus fruits Environmentally-friendly production Quality from Germany The clay used to produce Biokat's cat litter comes mainly from Bavaria, Germany, and is proceΒed in an environmentally-friendly way. Price just £13.99! Click here to buy now!